Qui m'a fait penser a ma poupee. Alors j'ai fait ca...merci Bobi! 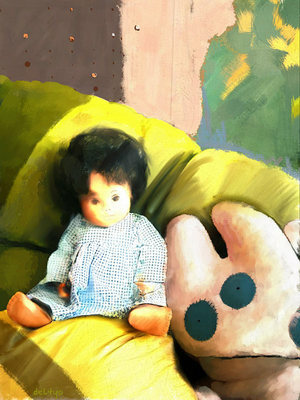 At Bobi's there was an illustration of little girl who made me think to my doll, so I did this, thanks Bobi!